At its core, social media is the art of real-time engagement. Less a business practice, more a throwback to traditional public relations, it is a tactic that when leveraged correctly can help any company achieve its PR and marketing goals. But while the social media and traditional PR game may have the same goals, they simply cannot be played successfully with the same set of rules. This July, the new set of rules that can help PR and marketing professionals succeed in social media will be unveiled during Retweet: Engagement Means Business, a free online conference hosted by Vocus. 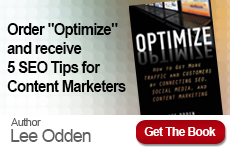 Joining this conference as a presenter will be TopRank® Online Marketing CEO Lee Odden. Odden’s presentation, Optimizing PR for the Web in 2010, will share best practices for leveraging Search Engine Optimization (SEO) and social media promotions for online PR campaigns. Attendees will walk away with the knowledge needed to choose the keywords and write the news content that will provides the highest possible impact on overall goals. 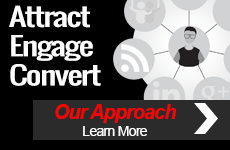 • Brian Solis: Engage or Die! This free online conference begins at 9:30am EST on Wednesday, July 28th. All speakers will be on hand to answer questions via live audio Q&A sessions.